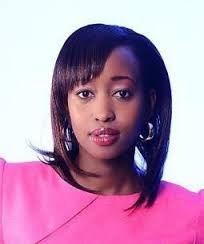 Citizen TV’s trendy and well-liked news anchor Janet Mbugua Ndichu has lately been receiving negative criticism from a section of her fans for flaunting her big baby bump but by the look of things, she aint stopping any time soon. On Thursday 15th October, she shared her anxiety 15 days to giving birth and probably her fans thought it was high time she stopped displaying her bump but they were wrong. This time, she went a notch higher! She exposed her unborn baby to the world in a scanty bikini and everyone just can’t stop talking about her.